Are you looking for an easy day trip to squeeze into your Bangkok itinerary? Then be sure to check out Ayutthaya, a UNESCO World Heritage Site that is an hour drive from the capital. It is often described as a photographer's dream destination. Start exploring the ruins of the World Heritage site in the former capital of Thailand by visiting Wat Chaiwattanaram, one of the magnificent temples in Ayutthaya. 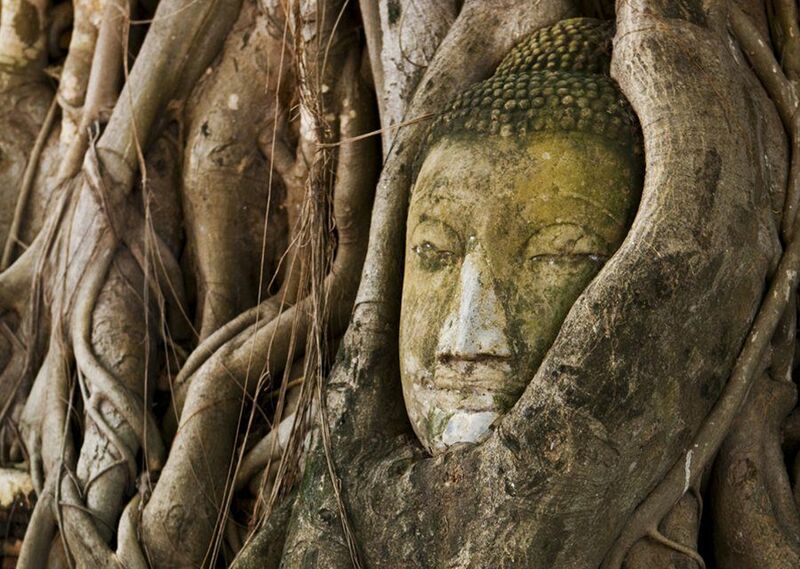 Continue to visit Wat Mahatat, the home of one of most recognizable symbols of Ayutthaya, Buddha image's head covered by tree root. Visit Wat Phra Si Sanphet and the ancient royal palace, the construction model of the Grand Palace in Bangkok. Lunch at a local restaurant, enjoy having authentic Thai cuisine. Take a long tail boat from Ayutthaya to Bang Pa-in, the boat ride takes about 35 min. Visit Wat Nived, the Gothic inspired temple situated on the bank of Chao Phraya River. Visit Bang Pa-in Summer Palace, the location of various styles of Thai, Chinese, and European architectural structures. Sunscreen, Hat , Sunglasses , Light and comfortable non-revealing clothes, Camera A smile and an open mind! Chance to see the UNESCO listed Ayutthaya Historical Park. Full day of exploration in the old kingdom of Ayutthaya. Scenic boat ride through the early riverside. : Visitors are requested to be dressed properly and appropriately upon entering the ground of Palace. : Please do not wear shorts, sandals or no-sleeves. Humbled and grateful to be in such a great environment. The trip covered many beautiful temples with diverse background stories. Got to see all the temples we had wanted and more with the comfort and ease of a private car. Prayuth “Tommy” was a great tour guide. Very patient and very friendly and reliable. Always tried to park the car in the shade and drives responsibly. Loved the place he took us to for lunch. Cheap, delicious and right on the river. Thank you Tommy for all your knowledge, patience and kindness.